​While squirrels may look cute, they can be an annoyance if you have a garden and grow various fruits and vegetables. 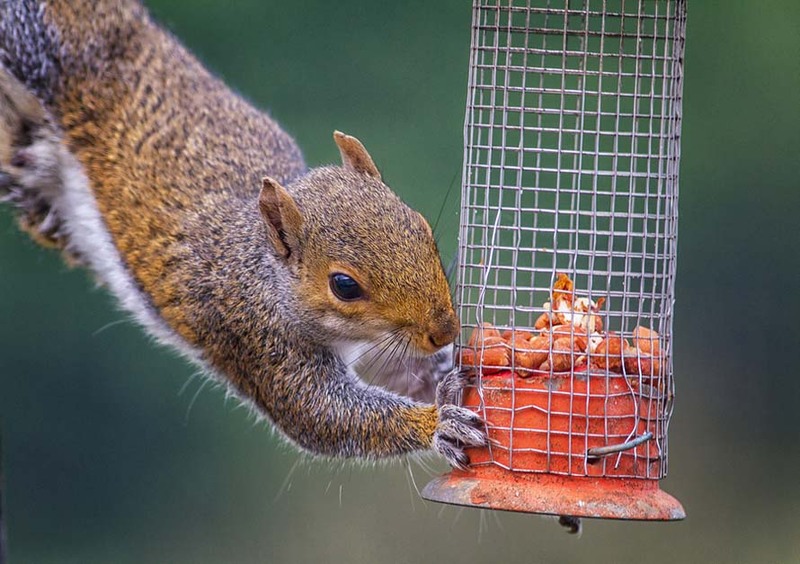 Squirrels love to pick at almost any food they find so chances are they will be a nuisance for your garden. So rather than having them go through your garden, why not make a feeder and feed them yourself. This will allow them to eat the food they want and more chances of them staying out of your yard. Plus, it will be a source of a little entertainment for you as you will get to see the cute little squirrel in the feeder eating. You need a piece of board from the fence board. This should be about 16 inches long. This will serve as the base. We will work on getting the jar holder in place. So you need to trace the curve of the jar on a part of the remaining piece of fence board. Make sure that you leave at least an inch from the lowest point of the board and the lowest point in the curve. You then need to cut along the lines you have drawn with the saw. You can test if the jar fits properly. You can then smooth it out with sandpaper. Now to support the jar and allow the squirrel to enter it. You need to cut a board of 8 inches by 5 1/2 inch. Using the jar trace the circle of the jar again on this cut piece. Saw it with the saw and use sandpaper to smooth it out. This will easily allow the squirrel to enter the jar. On the remaining fence board, you will need to cut two pieces that are 9 1/4 inch by 5 1/2 inch. This will be the entrance into the feeder for the squirrel. In these two cut pieces, you need to make a hole with about 3 inches in circumference. 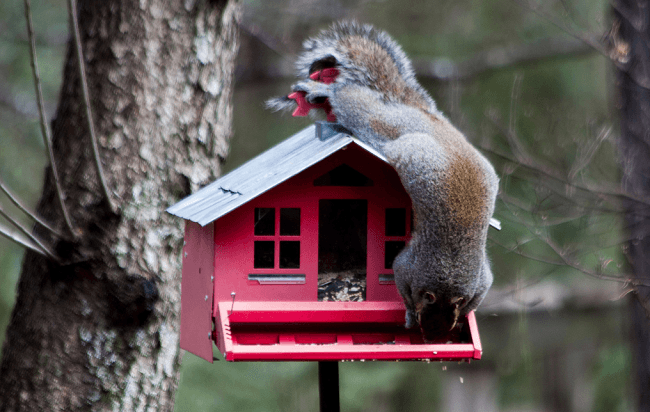 So the squirrel can easily enter the feeder from either side. As a support, the top of these two board should be cut so one end it 9 1/4 inch while the other side is 8 inch, sort of slanted. This way this attaches to the 8-inch piece of the board we cut in Step 3. You will then need to cut another piece of wood board that is 8 inch by 5 1/2 inch. This will serve as a roof for the two boards we just cut. Now you need to cut the base that will go against the tree, so you need to cut a piece of the board that is 16 inch by 5 1/2 inch, this will be screwed on against the tree. Now that we have all our pieces cut and ready to be assembled. You will need the help of screws and the compass. You start with the base that was cut in step 1. That will be the bottom base. Leaving about 3 inches from one end, you screw the jar placeholder that you cut in step 2. Measure the length of the jar and place the cutout board from step 3 on the base accordingly, screwing it on. You can make sure the jar fits perfectly between these two pieces of board. Against the back of this wood piece, you need to put the two pieces of board you cut in step 4, one on each end of the baseboard so it allows the squirrel to enter from either side. You pretty much have the feeder base done. Screw the base to the board piece that will go against the board. Then screw the board on to the tree and you have yourself a squirrel feeder. You can easily fill the jar with nuts and other fruits squirrel love and watch them eat away.